​Back by popular demand, Al will be entertaining us with more fabulous stories of his background and his adventures in the quilting world. It promises to be a fun and very entertaining evening. Not to be missed. Libs is a quilter who uses a programming language to design all her quilts. She will share her exploration in how modern technology can transform a traditional and tactile craft into modern functional art without abandoning the inherent pleasures of handcrafted products. She will discuss the importance of craft as art in our contemporary age and will share how all this came about for her and her quilting journey thus far. Guest speaker Ruth Kennedy is a quilter who will talk about “Finding My Wings”. CQA describes Ruth as “an enthusiastic quilter and teacher, who loves to share her quilting passion with others. She has always enjoyed creating with fabric and the sewing machine. Lorna will be sharing her career as an up and coming quilt designer. Her animal themed patterns are just the cutest. She will explain how she conquered some of those quilt tasks that we all dread like free motion. What makes a quilt Modern? Join Doris Lovadina-Lee and discover the Modern Quilt Movement through a slide and trunk show. What is a modern quilt? How are colour, technology, and design principles used? All of these are discussed and illustrated. Doris' quilting journey has taken her from traditional quilting toward the modern movement. She loves colour, design, and pursuing new techniques and skills. Doris' quilts have been displayed in juried and local quilt shows. 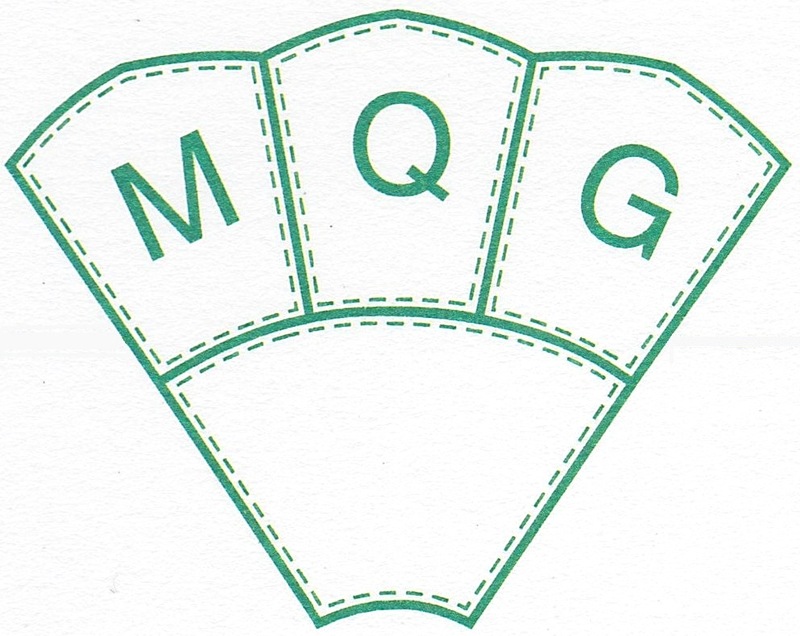 She is an active member of two guilds and an online quilt group. To see some of her work visit her website: dorislovadinalee.com, and instagram: @lovadina.lee. Sandy Lindal's trunkshow is called "Confessions of a Scrapaholic". It is a lighthearted talk about her quilting journey. Sandy will show 45- 50 quilts and spill all the dirt while revealing the benefits of quilting with friends. Quilt of Belonging is a huge, collaborative art project that shows there is a place for all in the fabric of society. It has been a national symbol of Canada and has been on tour since April 2005. Esther Bryan, the artist and originator of this massive undertaking, will present an illustrated talk on how the Quilt began and how dream was realized. Esther will trace the Quilt’s journey since its launch at the Museum of Civilization and will happily answer any questions.